SPRINGFIELD, Mass. (September 21, 2006) — Smith & Wesson Corp. is voluntarily recalling its Performance Center Model 460XVR revolvers. This recall applies only to the Performance Center Model 460 and does NOT involve Smith & Wesson's standard production Model 460 revolver. The recall applies only to revolvers that contain barrels manufactured for the Performance Center by an outside supplier. No other firearm models within the Smith & Wesson product line are affected by the recall. 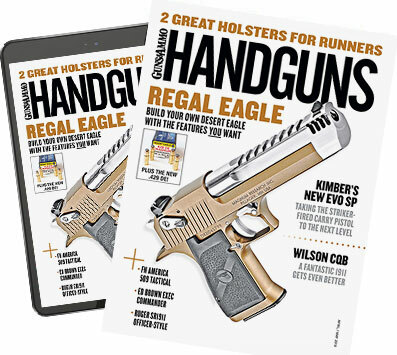 The Company is initiating this recall as a result of a few isolated reports of barrel failures limited to the Performance Center 460 revolvers. Investigation has revealed that the quality of the steel in some of these barrels did not meet performance requirements. The recall applies to all Performance Center Model 460 revolvers shipped by Smith & Wesson prior to September 18, 2006. The Company is working diligently with its distributors and dealers to identify affected customers and to provide prompt and timely notice of this recall. Consumers who purchased the Performance Center Model 460 revolvers should not use their revolver until it has been inspected by Smith & Wesson. Anyone who currently has a Performance Center Model 460 within the recall range should contact the company immediately at (800) 331-0852, ext. 3800, or through the website at www.smith-wesson.com. Smith & Wesson is a global provider of products and services for the safety, security, protection and sport markets. The Company manufacturers firearms and handcuffs and is home to America's longest-running firearms training facilities for America's public servants. The Company also markets a variety of products for sport shooters including firearm safety/security devices, shooter protective gear, knives, apparel, and other accessory lines. The Company is based in Springfield, Mass., with manufacturing facilities in Springfield and Houlton, Maine. Contact (800) 331-0852 or log onto www.smith-wesson.com.